ChicKing continues to gain popularity and will therefore expand! ChicKing belongs with the concept to the established order in the Middle East and Asia and is still expanding in the UAE. That is why we are looking for ambitious catering entrepreneurs who, together with us, will put the concept on the European map. - ChicKing will expand over the next 5 years to more than 500 branches and in 2025 more than 1000 sales points worldwide. What are you going to offer your guests? Original Fried Chicken: the chicken favorite that keeps winning fans worldwide. Made from fresh, thick and juicy pieces of chicken marinated in a secret recipe of tasty and aromatic herbs. Slightly breaded in white flour with secret ingredients and, of course, perfectly golden brown fried. For the people who are not spicy enough, there is an extra spicy variant! Children will also love ChicKing; the special children's menus full of nutritious and tasty dishes are specially formulated! Halal forms an integral part of the quality commitment. All processes, from product development and designing outlets to customer service, are regularly monitored to ensure that the highest standards are not only met, but also maintained. ChicKing is proud to be one of the leading 100% Halal-compliant QSRs in the world. Curious about the possibilities that ChicKing can offer ambitious catering entrepreneurs? 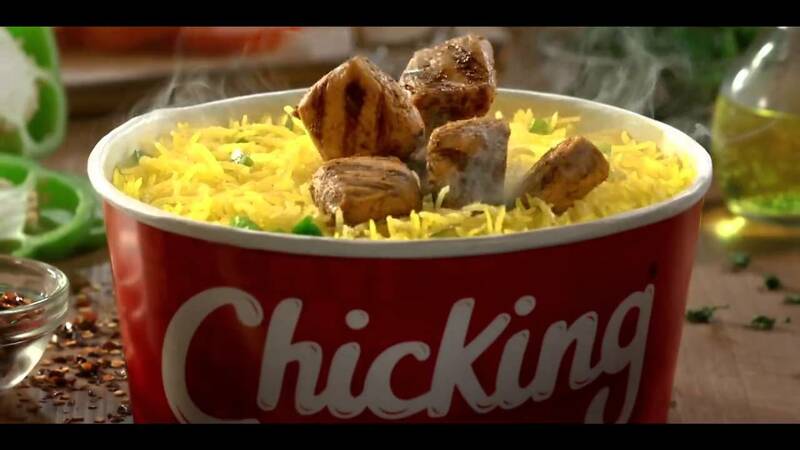 Chicking is the fastest growing chicken fast food chain in the world. On the basis of the secret recipe they serve the tastiest seasoned chicken in different variations.